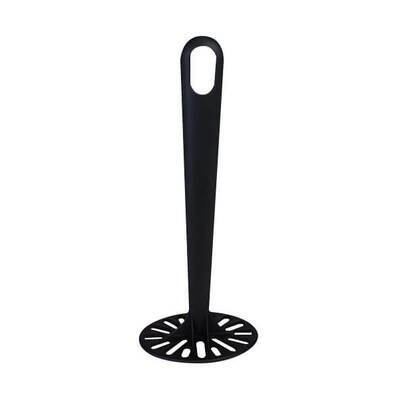 As part of our catering supplies selection, this Potato Masher fits in effortlessly with your kitchen utensils. Suitable for both domestic and commercial catering businesses, it is offered as an economical alternative to stainless steel competitors. The heat-resistant nylon has a smooth finish that cleans easily and feels comfortable to use repeatedly in high-pressure environments. The practical design of this potato masher is best suited to mashing potatoes or vegetables according to your recipe instructions. Our Black Nylon catering collection has everything you'll need to create delicious meals. From our Black Nylon Slotted spoon to the Black Nylon Ladle and Black Nylon Slotted Spatula, they have all been designed to fit your budget and needs.